Creme Brûlée Cookie Bars have it all: they’re soft, chewy and fudgy, super vanilla-y, and they’ve got a crunchy sugary top, just like creme brulee! 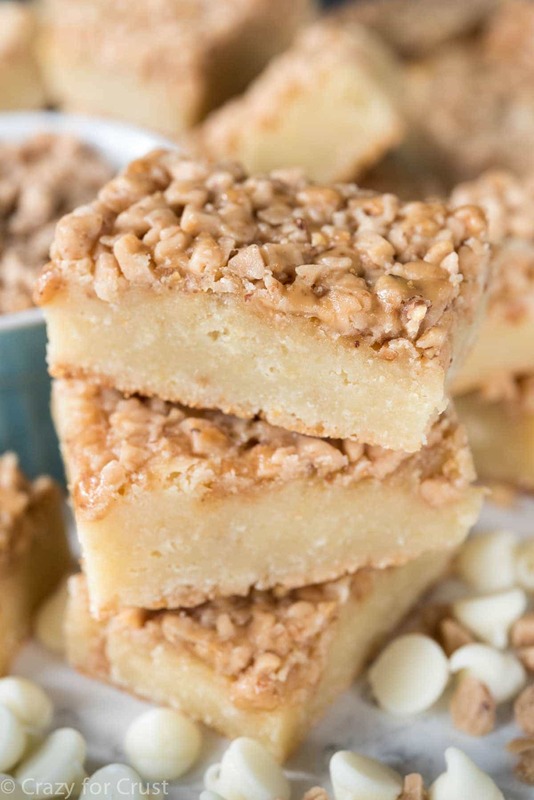 These bars are so gooey and perfect – everyone raves about them! Do you like creme brulee? I absolutely adore it. I feel like I can’t get enough of it, but when I was thinking about the last time I had creme brulee I realized it was over 10 years ago. So I feel like I can’t say, “Oh, I’m so addicted to creme brulee!” because that would make me feel like a poser. Seriously, guys, why has it been 10 years since I’ve eaten it? I was going back in my head over the nice dinners I’ve had and they kind of all run together since Jordan was born. I mean, all of my memories are kind of squished and compacted together and pieces of some fall into pieces of others. Like, I was remembering eating creme brulee on our anniversary while I was pregnant but I know that isn’t true, because in my mind I’m wearing a long sleeved black dress, but in July 2004 we lived in Arizona and there was no way I wore long sleeves in Arizona in July. Can I blame my horrible memory on mommy brain 10 years later? Or maybe we need to invent something called “bloggers brain” because I think I have it. Anyway, Creme Brulee Cookie Bars. I do remember eating creme brulee in Arizona, in December, when I was pregnant. It was at a fancy steakhouse and I remember being all “Woo hoo, an upscale steakhouse when I’m pregnant, filet and a glass of water, how fancy!” But the dessert made up for it – the crack of the sugar as I dug my spoon into the top. Because that’s the best part of creme brulee, the sugary crunchy top, right? These Creme Brulee Cookie Bars have that sugary crunchy top, but it’s kind of a cheater version. I used toffee bits instead of browning sugar. Why? Because when you brown sugar on top of creme brulee it doesn’t last long: it’s meant to be eaten right then. But when you’re making cookie bars, especially at the holidays for parties and gift giving, you want the treats to last. Enter: toffee bits. Also, when I made Creme Brulee Cheesecake Bars with toffee bits, no one complained, so…there you go. The crunchy top isn’t just why I called them “creme brulee” instead of toffee cookie bars. The bar itself is soft and chewy but also super fudgy and very, very vanilla-y, just like the real thing! 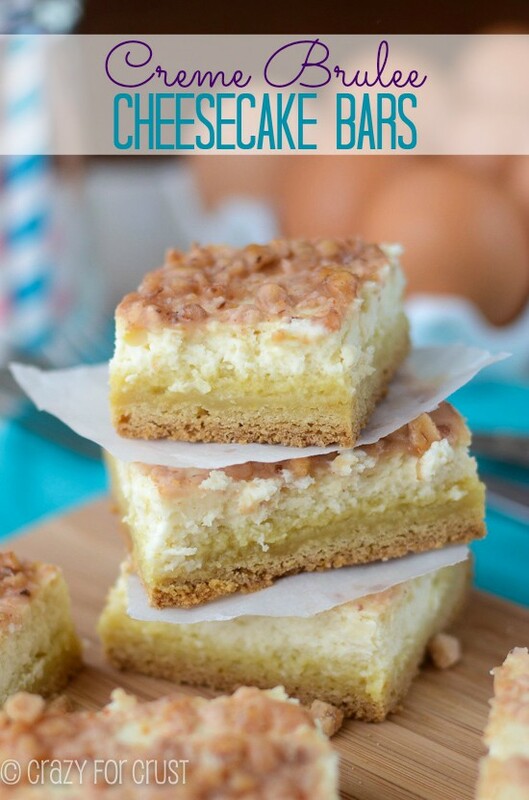 Creme Brûlée Cookie Bars is the perfect creme brûlée recipe for when you’re craving a cookie bar! Back in 2012, I made a version of this same recipe. I called them Very Vanilla Bars and I made them for a Mom’s Night Out book party, for a rather…popular…book at the time. Do you remember those? Since then I’ve been craving those bars again but never made them, even though it’s been on my list FOREVER. The special thing about those bars was that they were made like vanilla brownies, using melted butter and white chocolate chips. 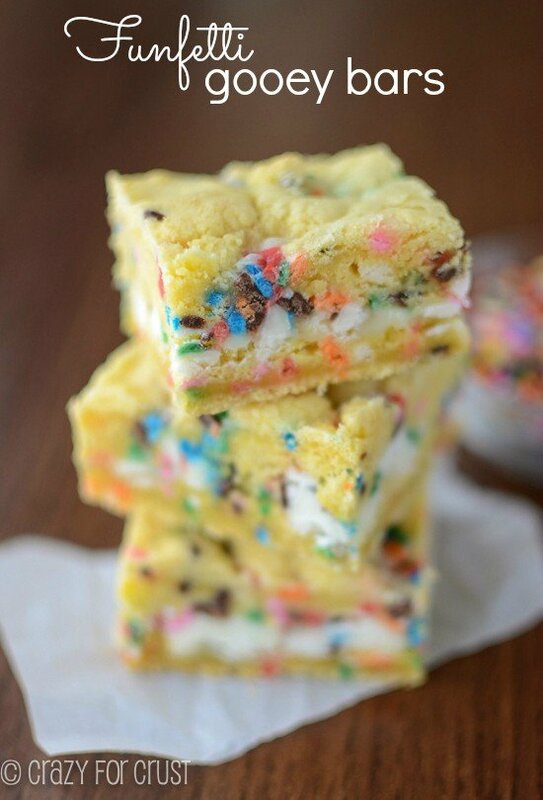 The result: a thick and fudgy cookie bar that totally showcased my favorite flavor: vanilla. I decided to remake them with a crunchy sugary top, because the fudginess of the bar almost makes it like creme brulee married a cookie bar. The recipe couldn’t be easier: you melt the butter and white chocolate chips together in a sauce pan, then stir that mixture into the rest of the ingredients. You don’t even need to worry about what order you mix things in, which makes this a totally foolproof recipe. 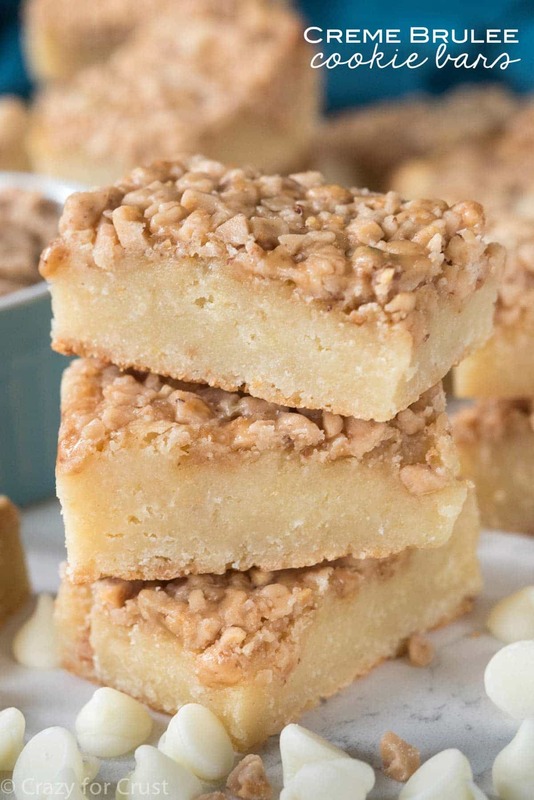 I used McCormick Pure Vanilla Extract to amp up the vanilla flavor of these bars. 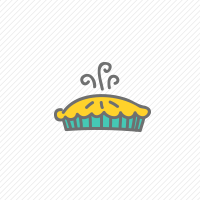 Always use the best extracts in your baking because you want the best flavor. McCormick is (and always has been) my favorite! Once you’ve baked the bars until they’re almost done, you top them with the toffee bits and then finish them off for a few more minutes. This allows the toffee bits to melt together and form that extra crunchy sugary top you’d expect from a good creme brulee. People report the mixture is liquid. Once it bakes it will be VERY gooey. Let it cool completely before slicing. When in doubt, bake it longer. 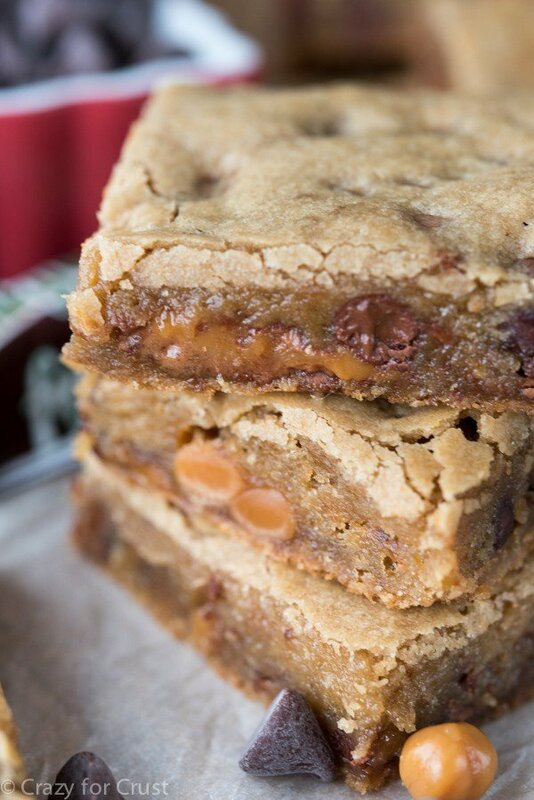 The creme brulee cookie bars were a huge hit at both of my holiday gatherings this year. I had to make a second batch just to have enough for the second party! Between the richness of the vanilla and the fudginess of the bar, these make the perfect holiday (or anytime) treat. They’d also be pretty for a New Year’s Eve party (with champagne, of course). See how easy creme brulee cookie bars are to make. Watch this quick video tutorial! These Creme Brulee Cookie Bars are filled with rich vanilla creme brulee flavor. An easy bar cookie recipe, these bars are soft and chewy with a crunchy top, just like creme brulee. Heat oven to 350°F. Line a 9x9 pan with foil and spray with cooking spray. Alternately, you can use parchment paper that’s been sprayed with nonstick cooking spray or greased with butter or shortening. Place butter and white chocolate chips in a medium saucepan over low heat. Melt the two together, stirring almost constantly, just until melted. The mixture may appear curdled or be the consistency of Cream of Wheat. Remove from heat and cool while mixing other ingredients. Stir together flour, sugar, extract, salt, and eggs in a large bowl. Add white chocolate mixture and stir until smooth. Pour batter into prepared pan. Bake for 20 minutes, then remove pan from oven and sprinkle toffee bits evenly over the top. Return to oven and bake another 8-12 minutes until the edges are golden brown. A toothpick in the center will still come out with batter on the toothpick, but it will be cleaner along the edges. Be careful not to over bake; it will brown more on the sides and bottom than on the top. Cool completely before slicing into bars. They will firm up as they set. If they seem to not firm up, chill them before slicing. This post has been sponsored by McCormick. All opinions are 100% my own, as always! I was so excited to make these. Followed directions exactly and they turned out to be a gooey, awful mess. I had to dump them in the garbage! I was so mad after all that work and expense. Everything was freshly bought so I used nothing old. Baked them like it said and it was just a complete disaster. Make at your owN risk. I’m not happy at all!!!!!! I just had the same issue. So disappointed. Wonder why? Most everyone else’s turned out fine. I’m a big baker and usually never have issues. Hmmmm?! Mine are an ooey gooey mess as well. And i bake and followed recipe. I hsbe put back in the oven as i am hoping it cooks up a little more! I made these to bring to a wedding. I am so glad i thought to cut one out first! Hers look ok…but not mine. Nothing like a cookie texture. They are still gooey when done but firm up as they cool. If cutting is a problem you can chill them before cutting. The texture is between a cookie bar and fudge. I also tried to cut them and they were still gooey. I cooked them about 10 minutes longer, and they were delicious. I have made these bars several times for co-workers and each time I do, I get rave reviews and requests to make them again. My son entered there in the County Baked Goods Show. He won Grand Champion of the show, and one of the judges said it was the best cookie she had ever tasted in her life! Thanks for sharing this recipe. They are so simple, yet unique. Can i freeze these for a few days?